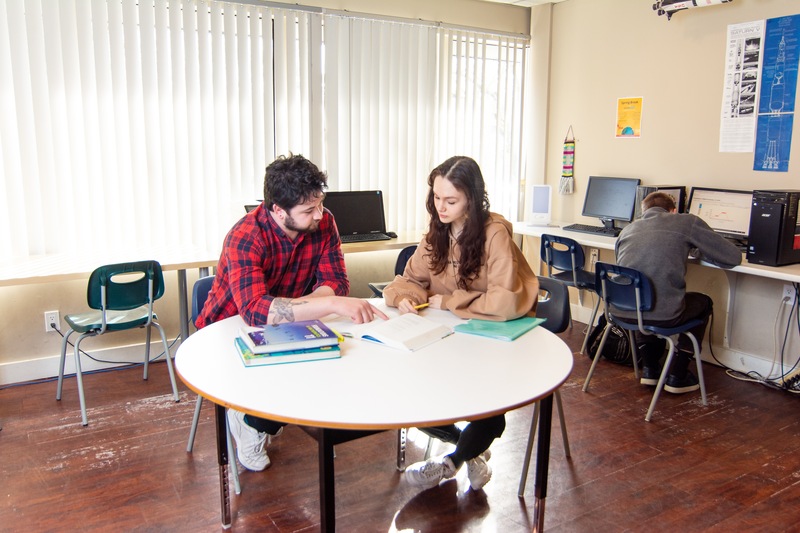 Drop-in Monday to Thursday 9:00 am-6:00 pm and Friday 10:00 am-4:00 pm for help with everything educational. 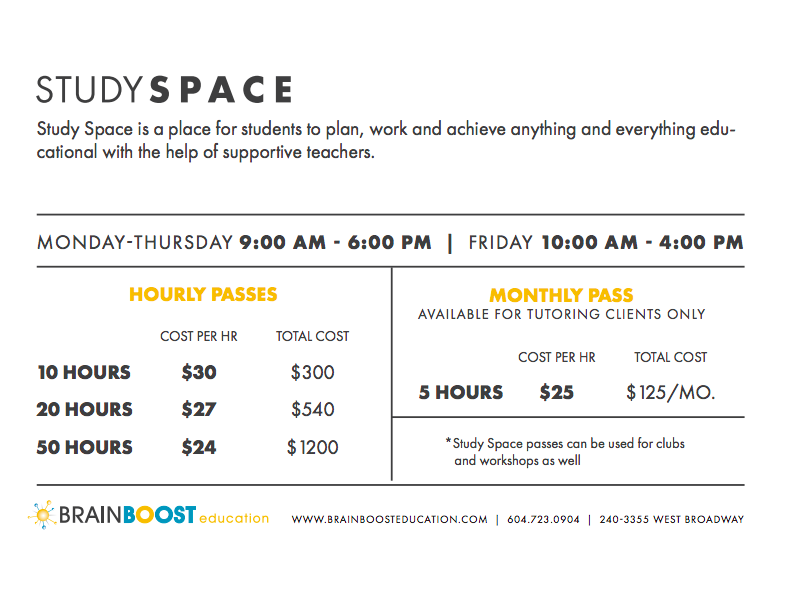 Study Space ranges from $24 – $35 per hour. Work with our math, science, and humanities specialists to get just the right amount of expert help with your homework. Work with our team to sort through what needs to get done, create an organizational system that works, and make a plan to succeed! Get customized practice tests in any subject, and receive personalized strategies to perform better on tests. Our study space is available for as little as $24/hr (it depends on how much you buy). Drop-in and get charged only when you’re in the space. Too much help can be just as bad as too little. Our tutors give you help just when you need it, enabling you to find YOUR way. Our team works with your tutor to ensure your time is productive and in-line with your strategy. We usually have 5 or less students per tutor, so there is lots of time for each student. Purchase a Study Space Package Today! It’s like the perfect situation because if you’re swamped you can raise your hand and there’s a tutor right next to you! It works out all the time! It’s also like they’re not giving you the answer so you figure out how to do it by yourself.